Good evening everyone! I hope you are all having a lovely Wednesday! I am finally back and ready to get back into blogging full force! 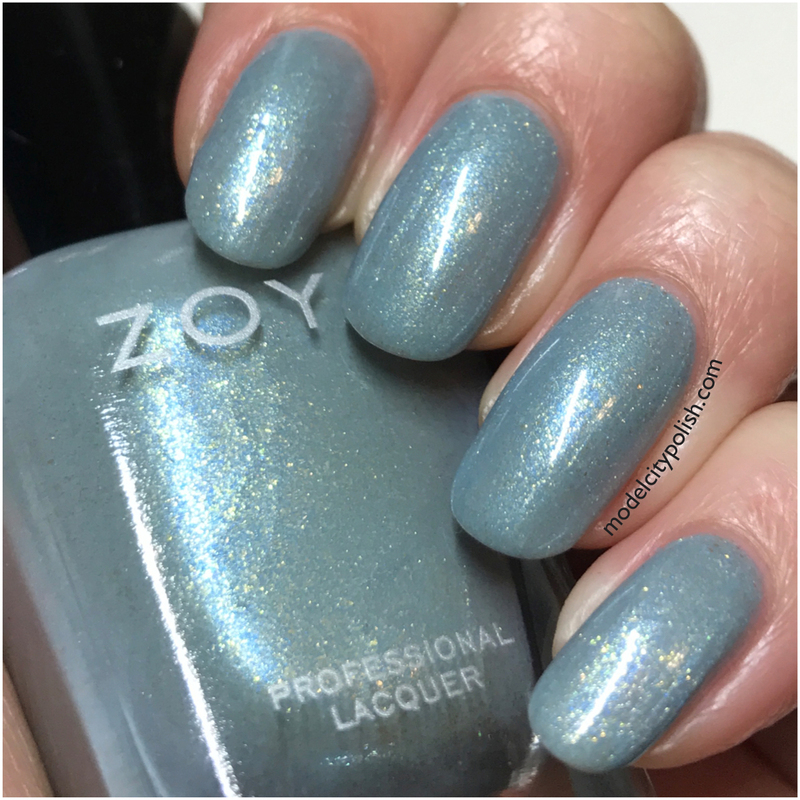 I have missed you guys so much and coming back with a fabulous new collection from Zoya seemed like the most appropriate thing to do. 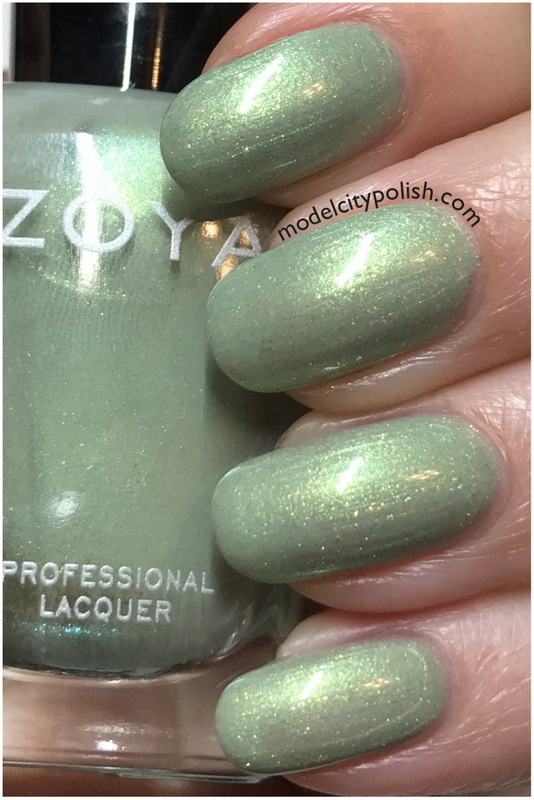 For Spring Zoya has released a lovely new 6 piece collection titled Charming and consists of 3 rich cremes and 3 stunning shimmers. Today’s post will be very picture heavy so let’s jump on in. First up we have Jordan. 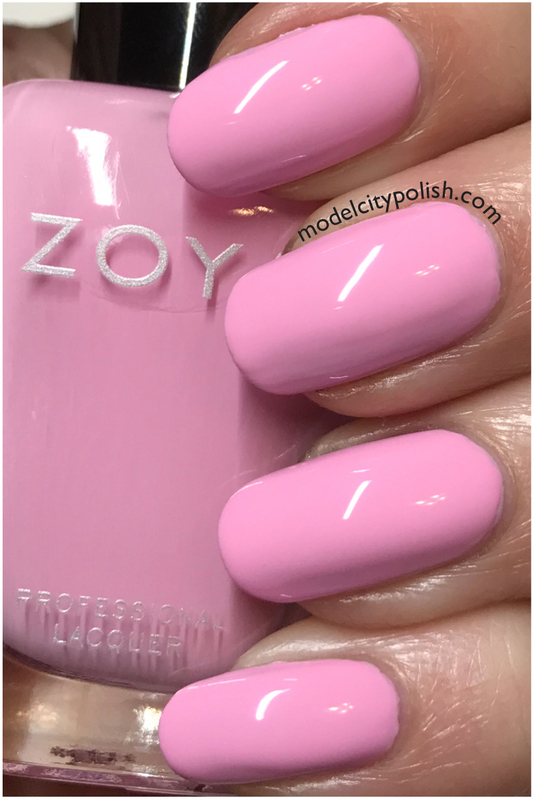 This is a lovely soft blossom creme that just screams Spring! Formula was a bit thick and trick on application but with patients, you can get a clean finish. In my photos I am wearing three coats of Jordan. Next up we have Tina. 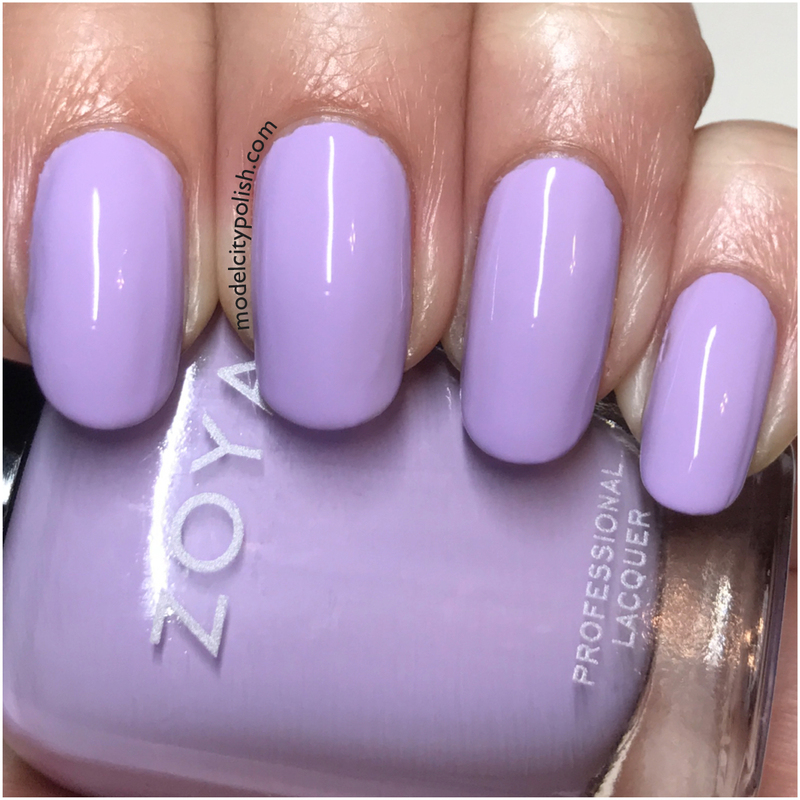 This is described as a medium amethyst creme and totally reminds me of those tine spring flowers that seem to pop up everywhere. 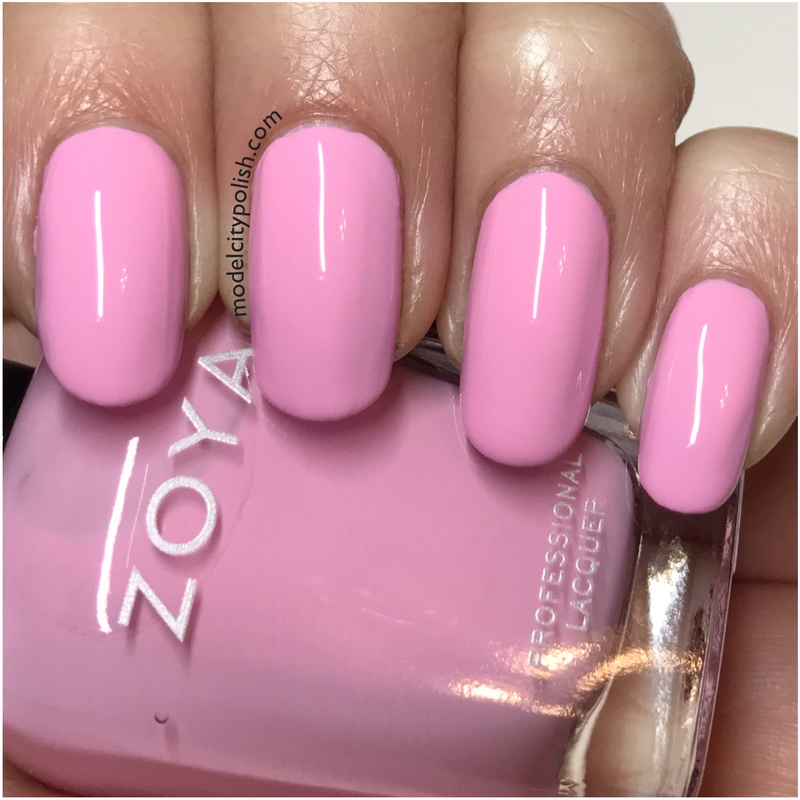 Application and formula were much easier with this shade. In my photos I am wearing two coats of Tina. Next up we have Abby. 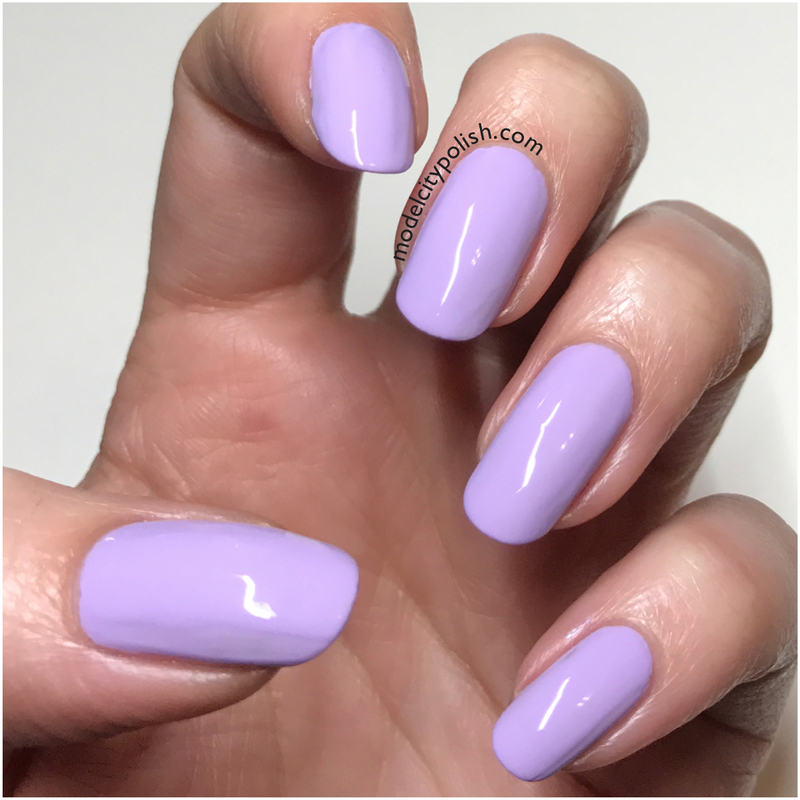 This is described as a light lavender creme that appears to have some smokey undertones. Again, formula and application was pretty easy. In my photos I am wearing two coats of Abby. Now for some shimmers! 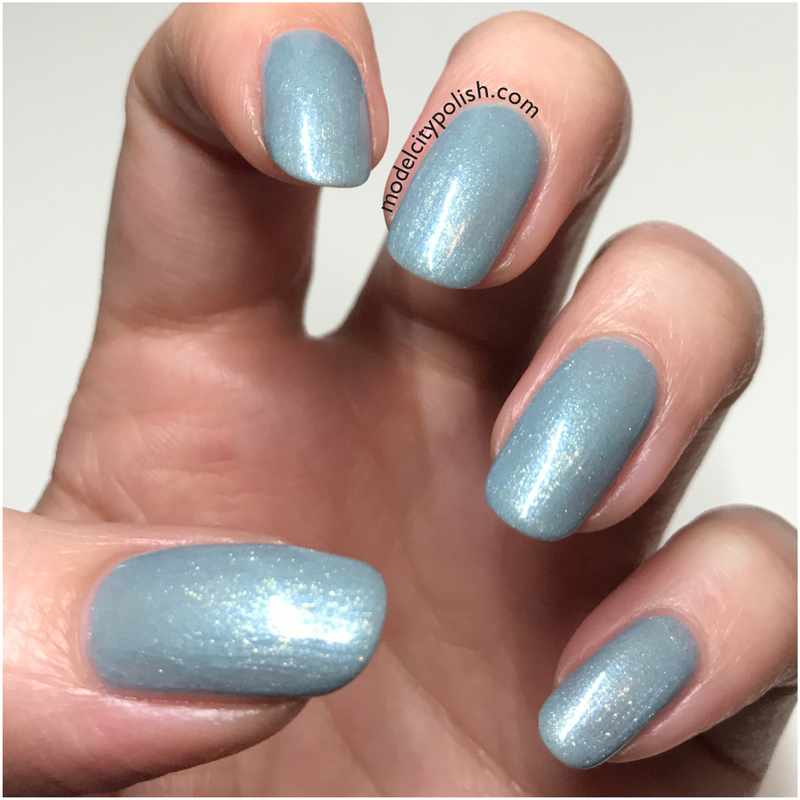 Amira is described as soft dewy blue micro-sparkle with flashes of gold shimmer. 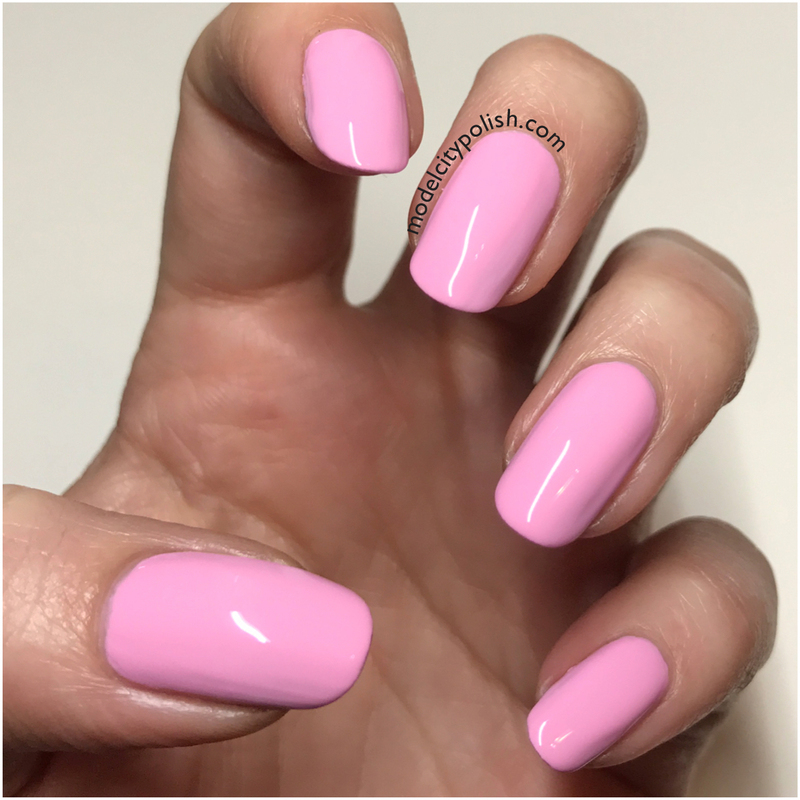 Application, coverage, and formula were all perfect. In my photos I am wearing two coats of Amira. Next we have Lacey. 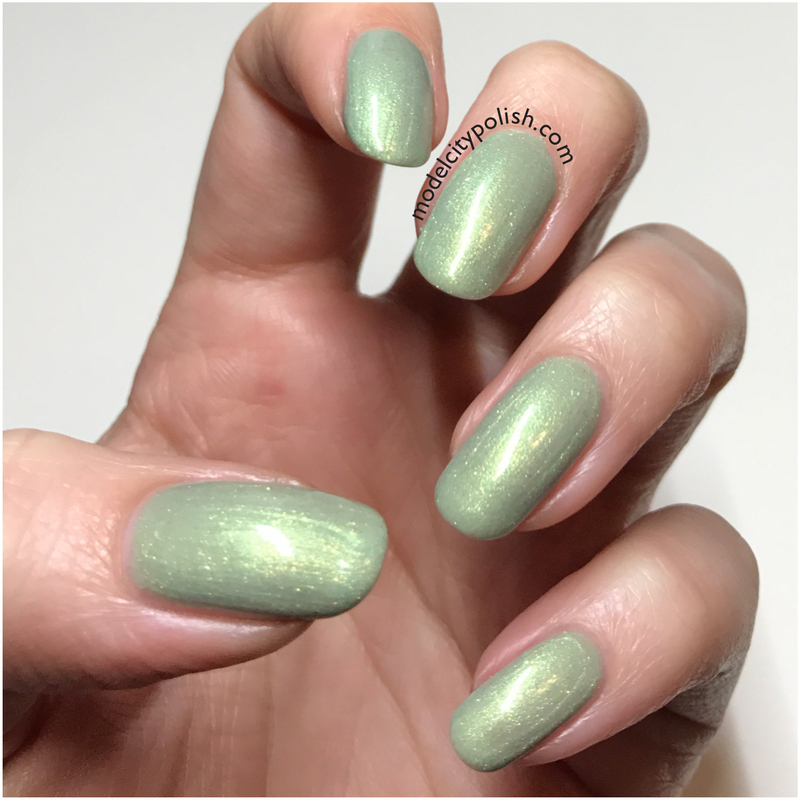 This is described light dewy green with micro-sparkle, and one again a soft golden shimmer. 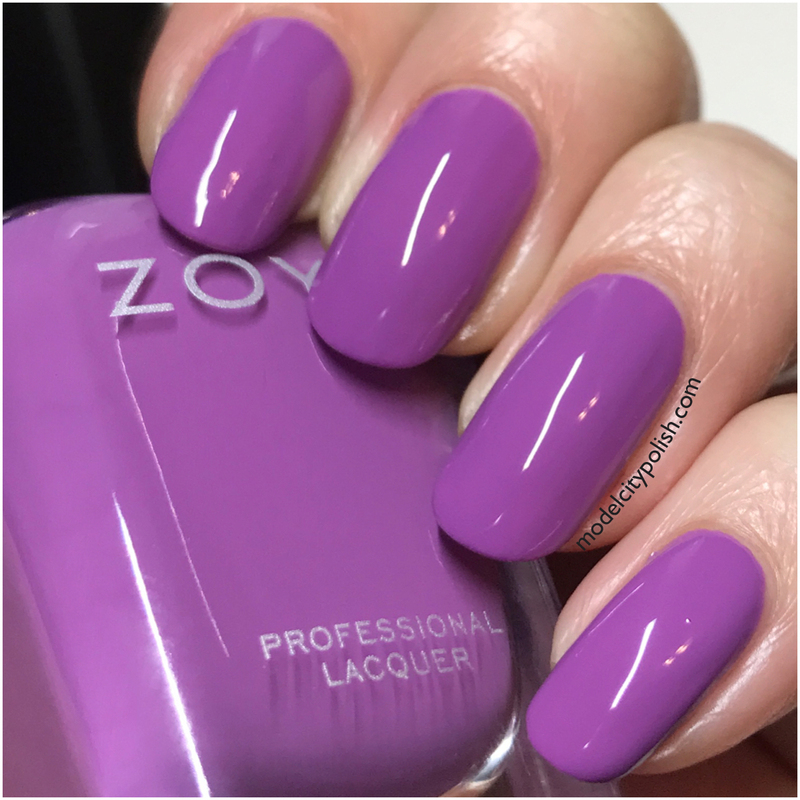 Just like Amira, this lacquer was flawless and perfect for Spring. In my photos I am wearing just two coats of Lacey. Lastly we have Millie. 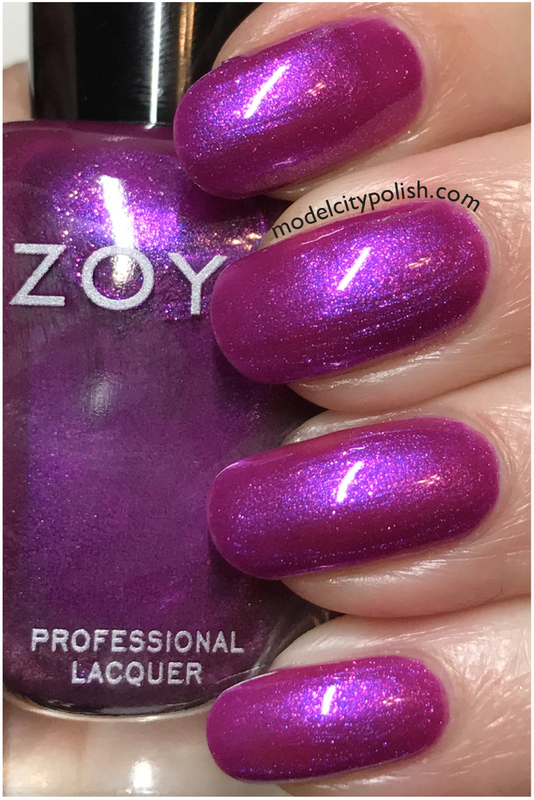 This is described as dewy violet filled with micro-sparkle. 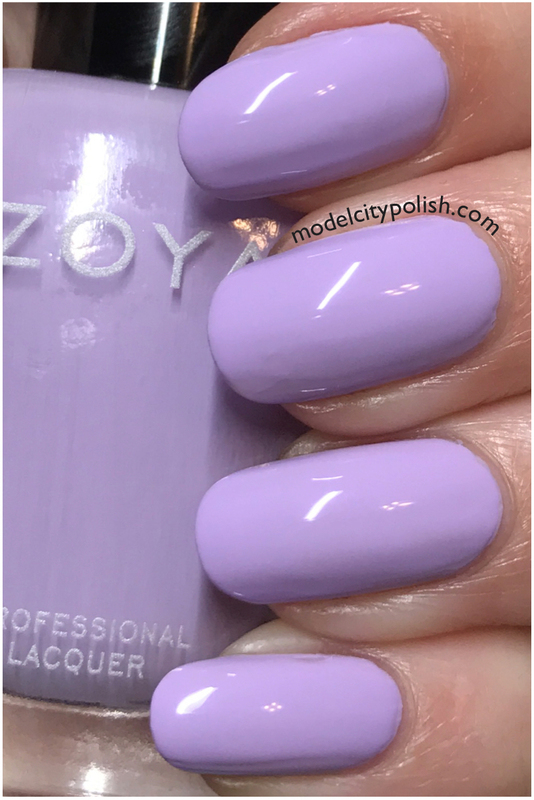 This color was the richest of the collection and while not very Springy, still stunning. In my photos I am wearing two coats of Millie. Now for some lip color. 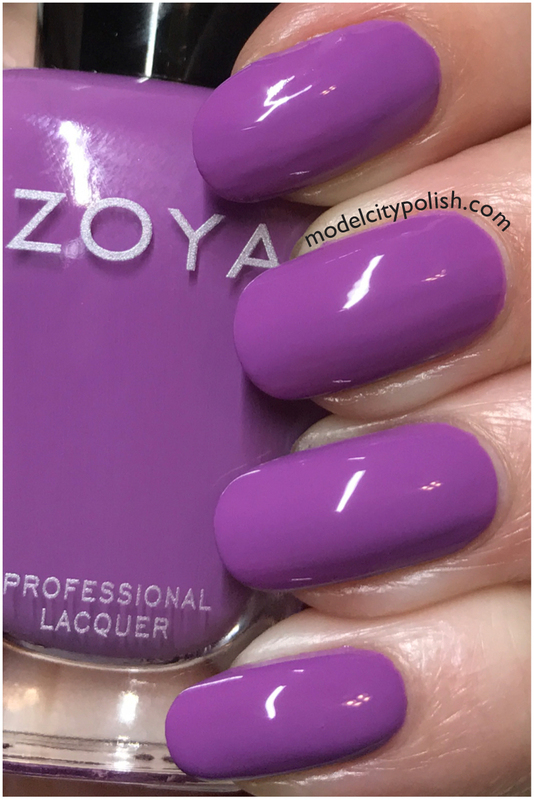 Along with the new Charming Collection, Zoya has also released a new lip color to coordinate with these great shades. 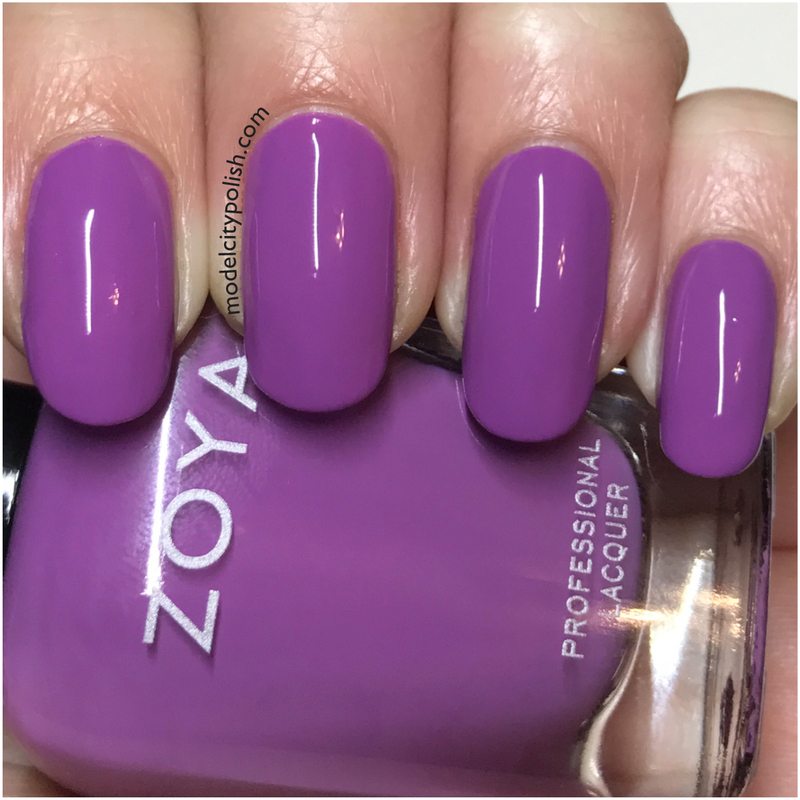 Violette is a creamy amethyst purple that leaves a soft hint of color or layered for a bold look. 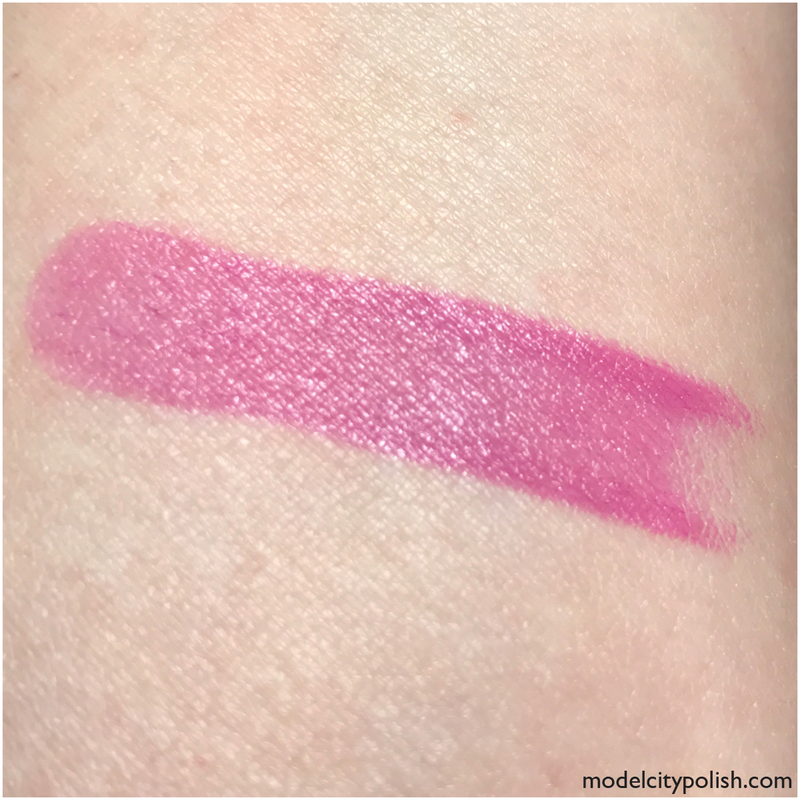 So what do you guys think of the new Charming Collection and the new lip color? 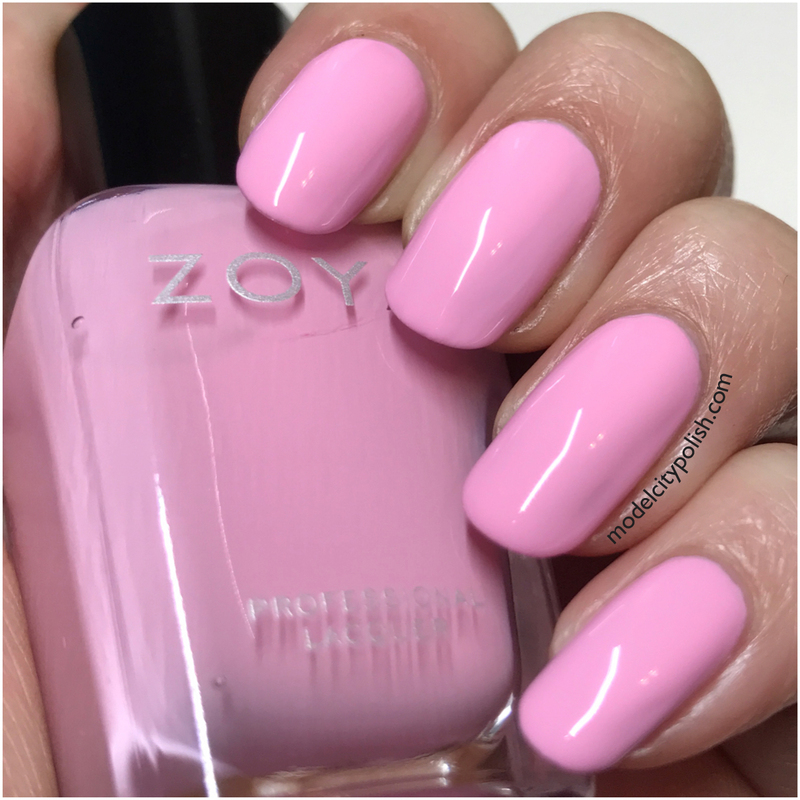 Overall I am very pleased, this is one of the most vibrant Spring collection from Zoya to date. 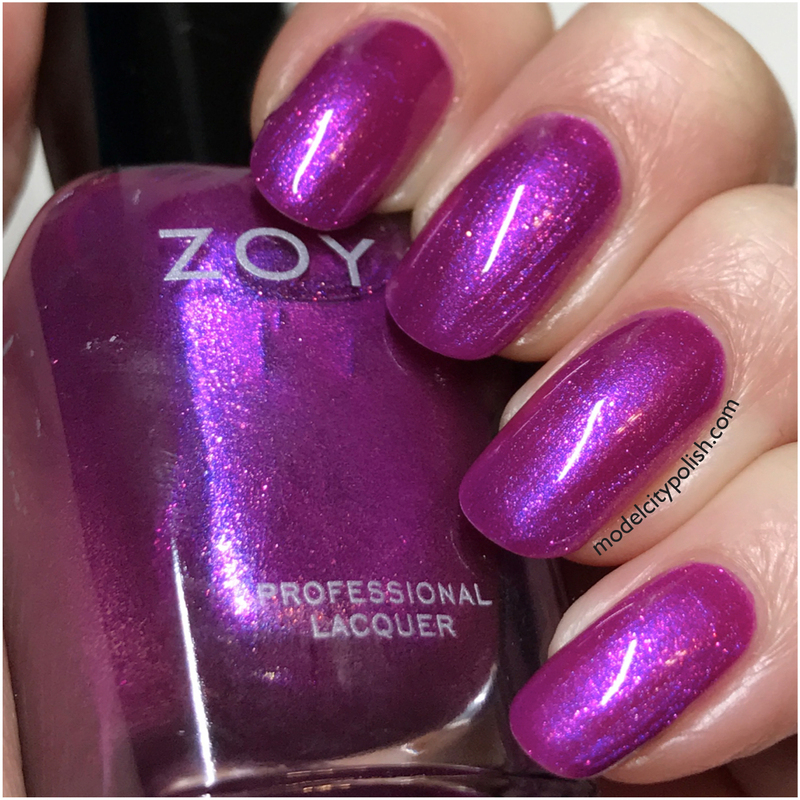 I am in love with these micro-sparkle lacquers and hope to see more of these from Zoya. 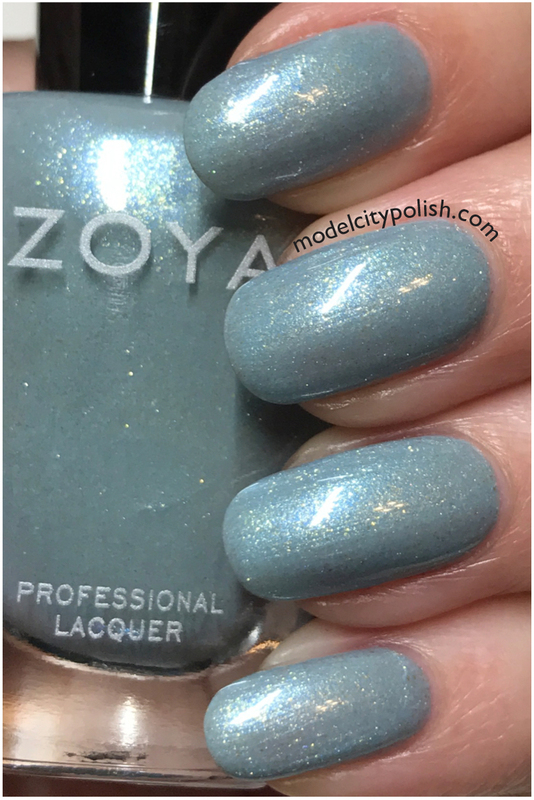 The new Charming Collection is available right now from Zoya, along with tons of other great lacquers. Please take a moment to give them a follow on Facebook, Twitter, and Instagram for up to date info and specials. Thank you so much for stopping by tonight and I will see you all again tomorrow. 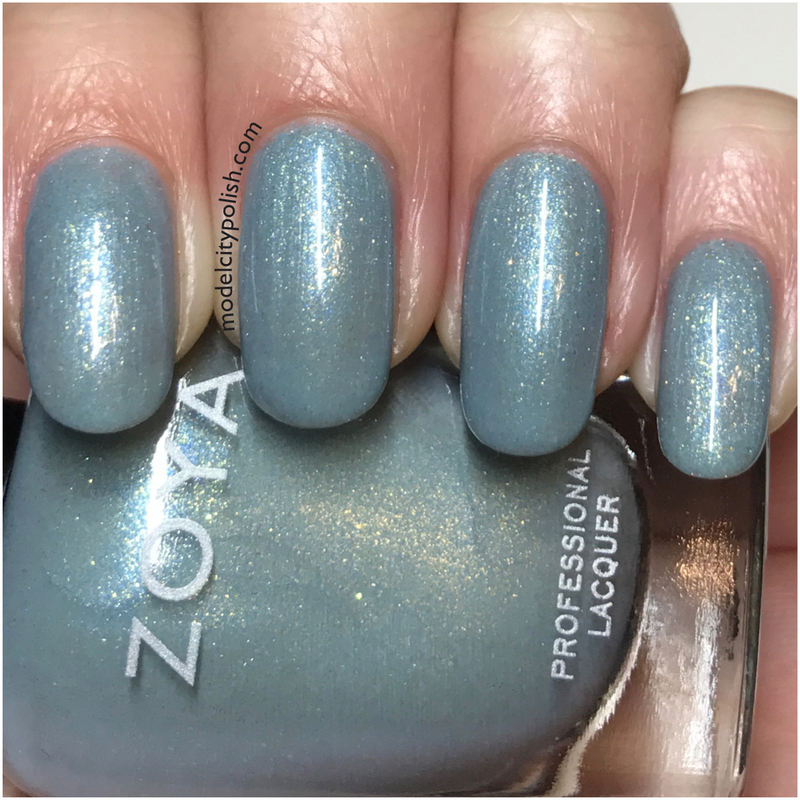 Love Zoya cremes! They have perfect formula. Welcome back, been missing your canvases! <3 Hope you are doing well. 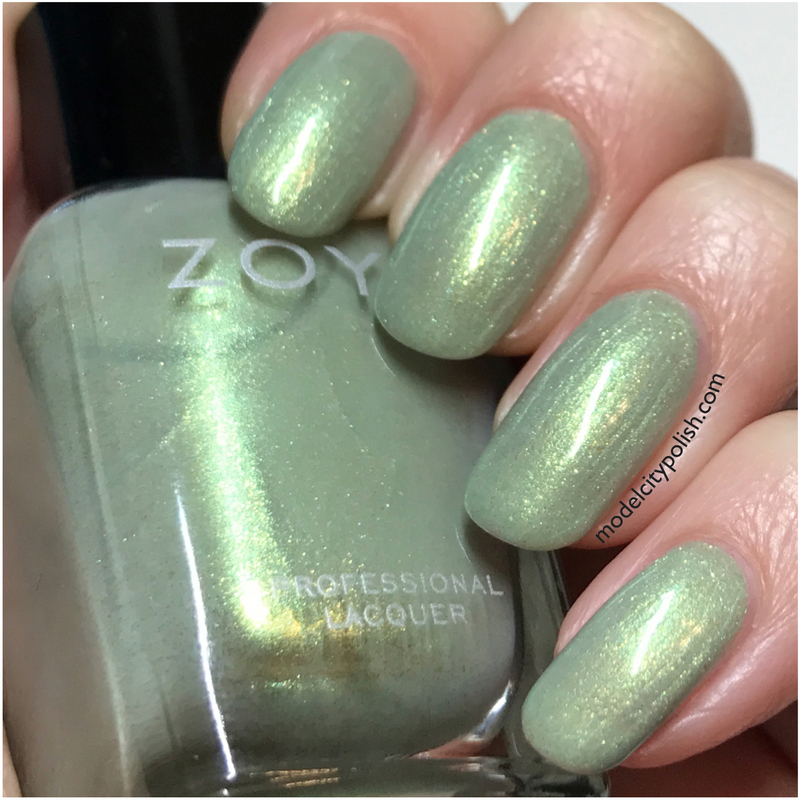 Pretty collection for Spring but it doesn’t look like anything super original. 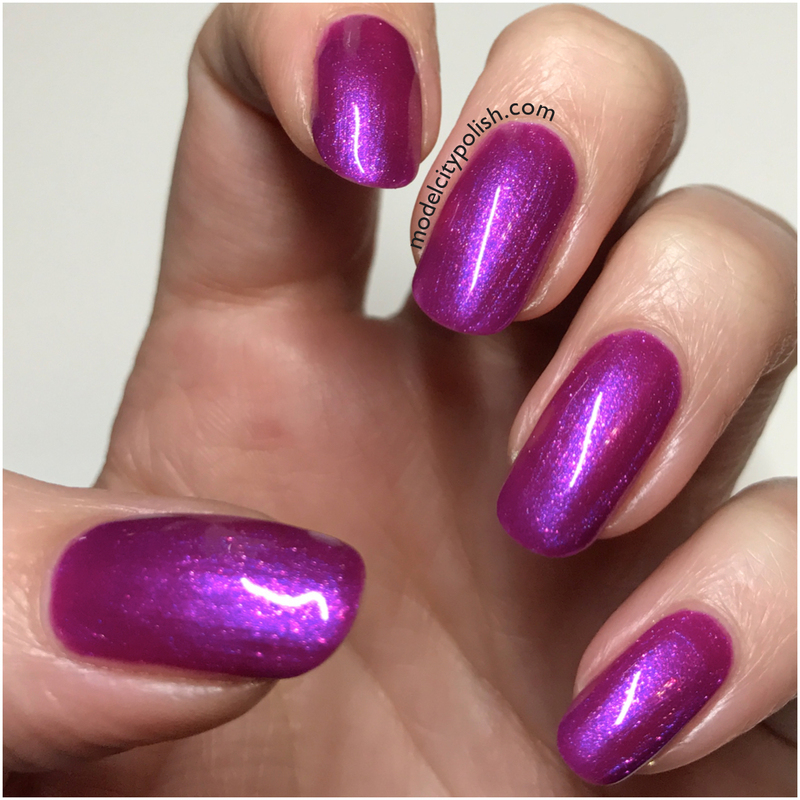 I do love all the purples though! Very pretty, especially the crème shades! Pretty collection! 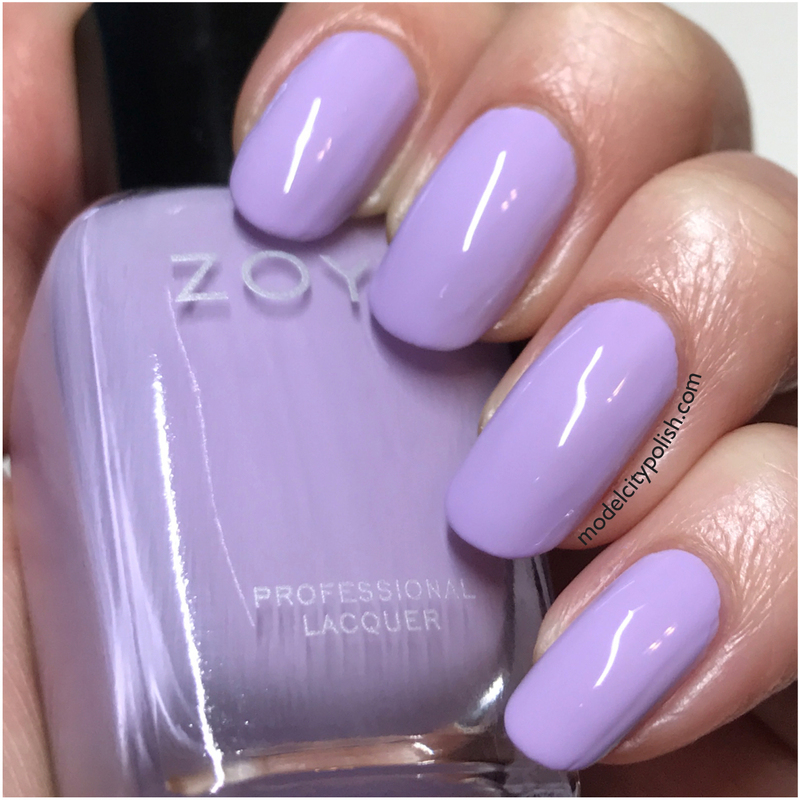 I’m loving the lavender shade! I love Jordan and Millie!!! I really like Amira and Lacey but they seem a little streaky. Great swatches. Tina and Abby is so pretty! Does anyone know how Tina compares to Malia? They look almost identical to me. Tina is beautiful! 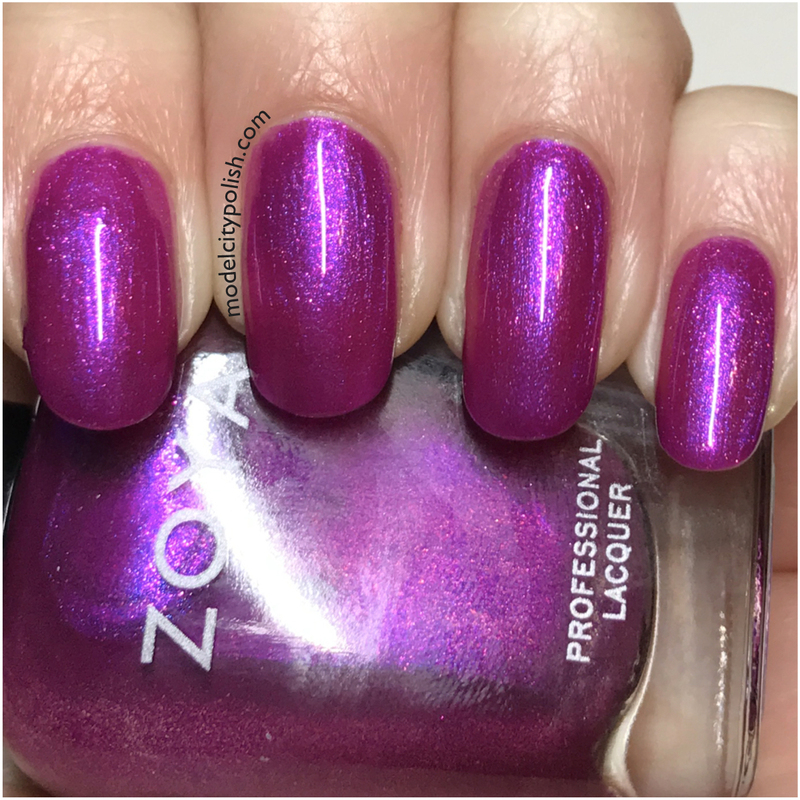 I love rich purple cremes like that. 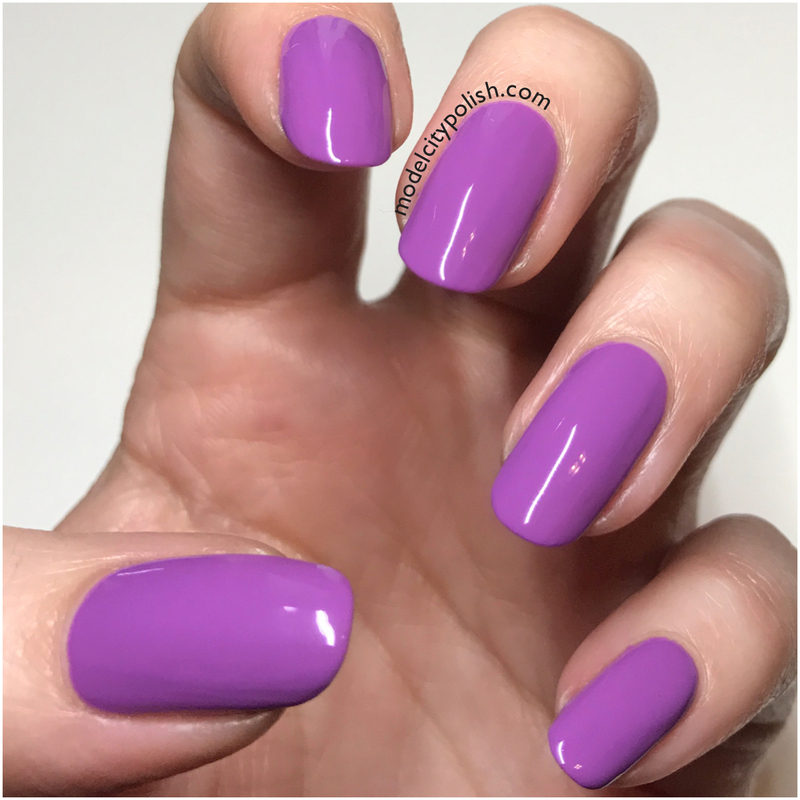 Tina is such a fun shade of purple! That lip color is GORGEOUS!!! I wish Ulta sold them. I have to have it. 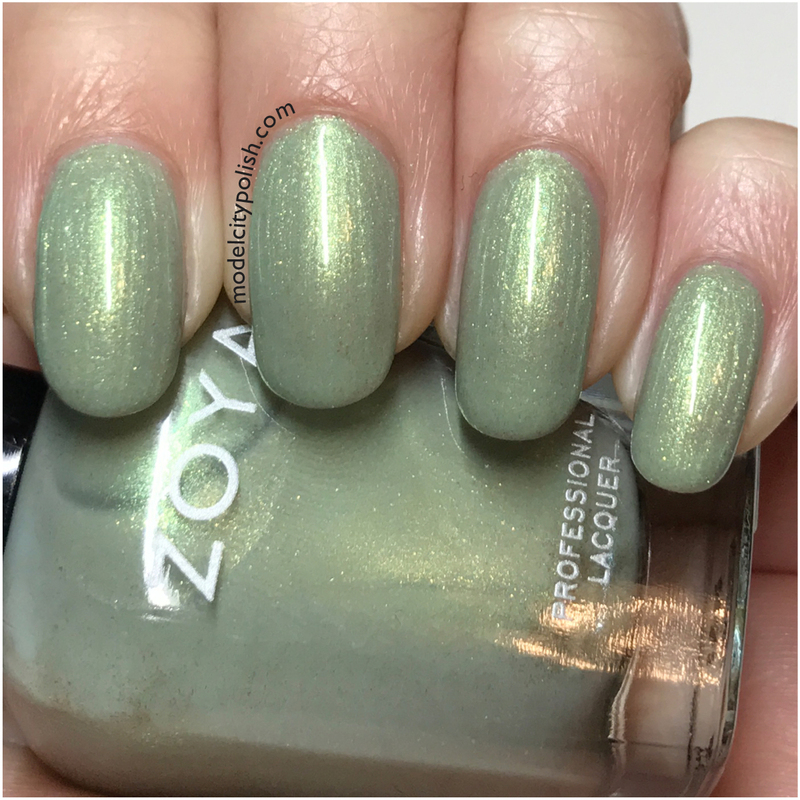 The cremes look nice, but I really miss the classic old Zoya glass flecks. Those metallics feel so frosty to me, but they’re still pretty!